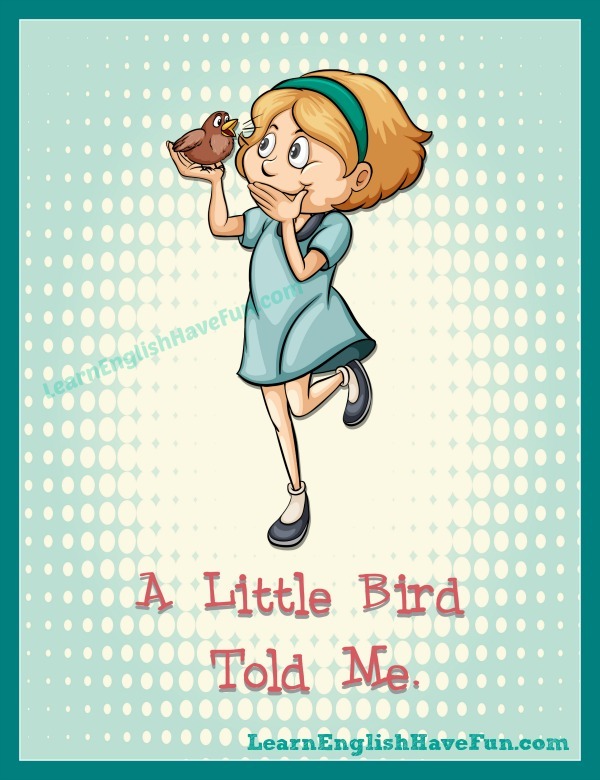 Try to guess the meaning of the idiom 'a little bird told me' by looking at the above picture. A little bird told me: this is used to say that you got information from someone but you are not going to say who that person is. Guess what? A little bird told me that we are having a pop quiz today in Mrs. Green's class. A little bird told me that it's your 50th birthday tomorrow so I wanted to call and wish you a very happy day. "So how did you know that Stephen and I are separated?" "Well, let's just say that a little bird told me." I want to know how you found out! And don't tell me that a little bird told you! A little bird always seems to tell my mother my personal stuff and I'm wondering whether that little bird is my little sister. "Did you hear that Seth got the promotion?" "No, how did you find out?" "A little bird told me." A little bird told me that our company is in huge financial trouble but please don't tell anyone else about it. I've tried as hard as I can to find out the source of this rumor but Jessica will only say that a little bird told her so. A little bird told me that you met some girl while you were in Spain this summer. "Why won't I go out with you? Well mostly because of the awful things a little bird told me about you." A little bird told me that you're going to have a baby this spring. Congratulations! Either a little bird told my girlfriend that I've been talking to Shelly or she's been secretly reading my phone messages again. 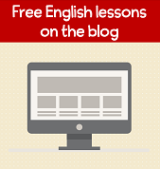 This is your opportunity to practice your English. Your reward is that creating your own sentence will help you to remember this idiom in the future. Just write your comments in the box below and I will be happy to provide feedback!